Can you believe it's almost the weekend?? I'm so excited, even though this week hasn't been particularly tough for me... haha. But my brother is coming into town tonight, so it'll be really great to see him! 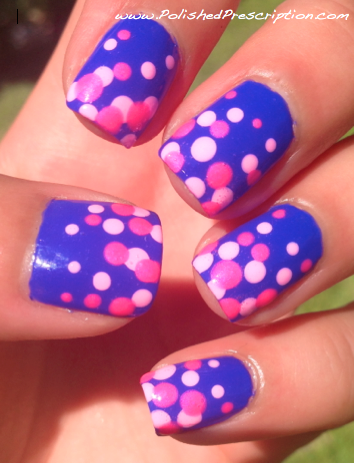 Cobalt and pink is one of my favorite color combinations, so of course I had to try it out. I started with three coats of Essie Butler Please, a vibrant cobalt blue. The formula is fine and not nearly as bad in my opinion as I've read on other blogs... it's pretty streaky and thin on the first coat, but once I applied the second coat it looked great. I added the third coat just to brighten it up a bit, although it wasn't really necessary. I really really love Butler Please and almost didn't want to put anything on top of it because I love it so much. But I had polka dots in mind, so I had to do them. Apparently Butler Please is a dupe of Nails Inc. Baker St, and apparently the formula on that is much better. Oh well. 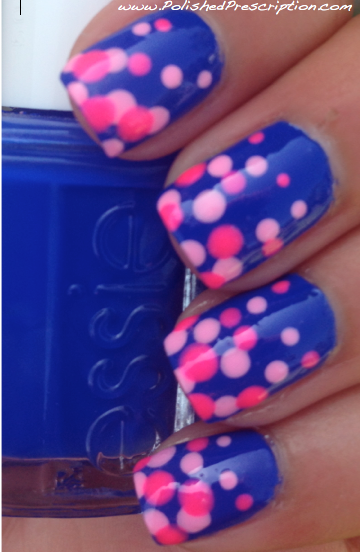 Such a cute manicure! 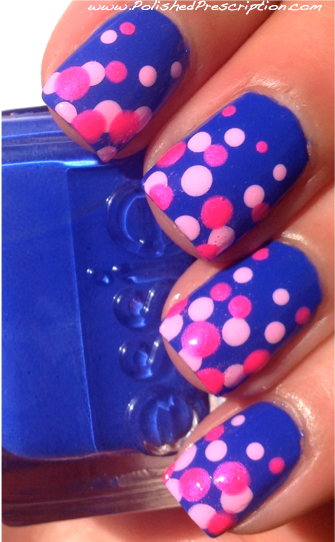 I love polka dots too when I'm in the mood for some quick nail art. Its fool proof! :) Love the blue and pink together too! Works well. So pretty! The blue and pink look great together! 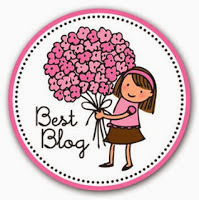 Just wanted to let you know I nominated you for the Versatile Blogger Award!